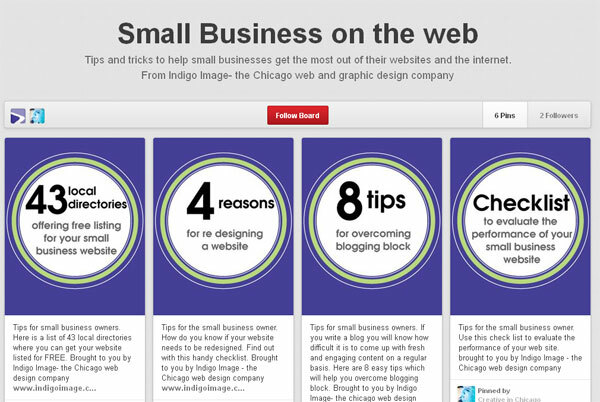 We have just created a new board on Pinterest for Small Business owners. The Board “Small Business on the Web” offers tips and tricks to help small business owners get the most out of their web site, everything from directory to submit their site to or ways to overcome blogging block. We will be adding many more tips to this board and welcome you to follow along. This entry was posted in Pinterest, Social Media. Bookmark the permalink.